The building is formed by the intersection of two opposing volumes that lock together. Openings whether they are windows or decks are then treated in opposing ways on each volume. On the lighter volume parallel to the street the opening protrude off the surface of the volume while on the darker volume they are carved in. 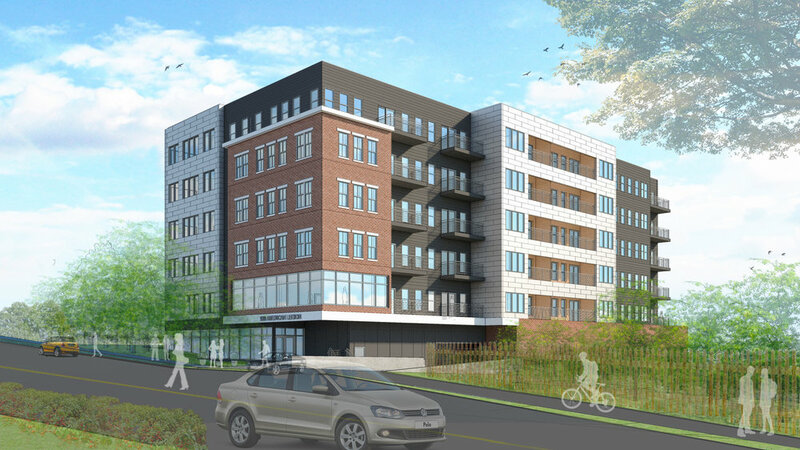 The anticipated project will house 65 residential units.